2-bay charger supporting AC and DC (car) charging, the Fenix ARE-C1 battery charger is equipped with short-circuit, overcurrent, reverse polarity and overcharge protection. Two independent channels permit simultaneous charging of two 18650 batteries with an LED monitoring indicator for each. Constant current charging delivers 3.5 hours cycle time for ready battery use. 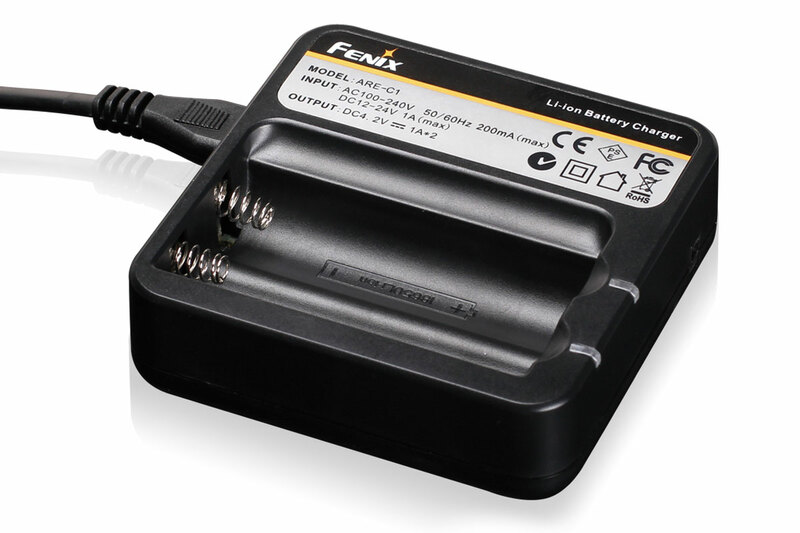 Supports all Fenix ARB-L2 18650 Li-ion batteries, not recommended for the ARB-L4 26650 battery.